The patient can maintain their own physicians. An OpusCare physician is added to the Treatment Team to help as a specialist in controlling symptoms. The OpusCare physician offers Palliative Care by prescribing medications and other methods for pain and symptom control. Our program aims to achieve comfort and relieve suffering by providing quality specialized healthcare with a specific focus on symptoms and pain management for patients and families who are dealing with illnesses. Treatment that enhances comfort and improves the quality of an individual’s life who is facing a serious illness but may not qualify or be ready for hospice care. An estimated 6,000,000 people in the US need Palliative Care. It’s appropriate for any age and/or stage of a serious illness along with the treatment meant to cure illness. The Palliative Care team works together with doctors and family members to design a plan that caters to the needs of the patient. The team also provides support for caregivers and assistance with patient decision-making about present and future care and advanced directives. What are the Goals of Palliative Care? The primary goal of Palliative Care is to provide treatment plans for symptom management and pain relief, to identify the patients’ goals for their care, and to provide spiritual and emotional support. 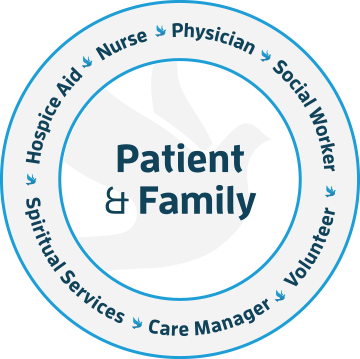 Palliative Care aims to support the patients and their family throughout their hospital stay and find the needed support for their care outside the hospital or clinical setting. Focuses on treating illnesses, symptom relief and improving the quality of life. Who Pays and Where Can I Receive Palliative Care? Medicare and most insurance providers offer palliative coverage. If you have more questions, ask the social worker from the Palliative Care team. It is provided in settings including the home of the patient, ALF’s, nursing homes, hospitals and outpatient facilities. Provisions of medications related to symptoms associated with terminal diagnosis. Dear Dr. Ismael Roque-Velasco, Sadly, on March 20th of this year, my father, Rolando Alvarez, lost his battle with cancer and Alzheimer’s. We are devastated by the loss but have found some comfort in the outstanding service our family received from OpusCare of South Florida. I was referred to you company by my friend Ms. Hortencia Castellano. I shared my concerns about my father’s special health needs and she advised me to look into OpusCare. I am so happy that she made the recommendation as it has made all the difference in the world. Her referral enabled me and my father to make a connection with an amazing group of professionals. I will always be grateful to her for that. You should know that Norberto Diaz, Senior Community Outreach Representative, is a true asset to your company. He did an excellent job of guiding me every step of the way and answering all my questions about my father’s care. He always answered my calls and was completely approachable and professional when assisting me. He should be commended for his dedication and professionalism. Your nurses, Daniella Sanchez, Sandra Mayasen, Roberto Fernandez and social worker, Nacin Fernandez, were also exceptional in their service and care. They each did an excellent job of caring for my father and communicating with me regarding his progress. I am extremely appreciative to them for their attention to detail and service during my father’s final days. Please let you employees know how grateful I am and how lucky my father was to be in their care. They were so good in caring for my grandmother at the end of her life. They really care about your loved one and also about us as the family is going through grief. Es con mucho gusto y agradecimiento que le envío este correo, con dolor que mi querido tío falleció esta mañana.. Le quiero comunicar en nombre mío y de mi familia que la atención y dedicación del equipo encargado del cuidado de Horacio fue absolutamente excepcional. La educación, atención a detalles, suavidad, respeto y entrega de corazón al bienestar del paciente por parte de todos los involucrados es digno del mas alto reconocimiento. Desde la primera entrevista con la Sra Sandra Martinez en el hospital hasta el momento que retiraron el cuerpo de mi tío la experiencia con representantes de su empresa es meritoria de nuestro gran agradecimiento. Mis mas profundas gracias a Madelaine Lopez, junto a Yudima Veloz, quienes tuvieron más contacto con nosotros y cuya labor fue magnifica y por su sensibilidad por el bien del paciente y seguimiento aun cuando no se encontraban presentes en la casa…No se cuantas veces moleste a Madelaine con llamadas telefónicas y ella siempre respondía amablemente, con paciencia e interés sincero en solucionar mis necesidades. Igualmente estamos agradecidos de corazón a Waldisney Castro, Mario Morera, y Kenya Berastegui, a Ricardo cuyo apellido no recuerdo y al señor que vino la primera vez cuyo nombre no recuerdo, medico en Cuba. Le pido hacer llegar este correo por favor al Sr Ismael Roque como también a la Sra Lisandra Morey, por no poder copiarlos al no tener su correo electrónico. La felicito a usted, a su empresa y a todo el personal mencionado. The Opus team has been amazing! They are loving, caring, and professional. My 95 year old dad has lung cancer and has been under the care of hospice several months. There have been many close calls when we thought we would lose him-but he pulls through and is stable! Last February he became severely weak and dehydrated-( due to diarrhea)-he ate very little, he could not speak, and blood pressure, blood sugar were uncontrollable. The hospice doctor and nurse advised us to take him to the hospital. We had him taken to the hospital and even though they found that his cancer had grown - the hospital staff were able to help him with IV fluids. After three days my dad came home and we thought our time with him was coming to an end. He was very weak, barely ate, and was no longer able to walk. God was not ready to take him, because he recovered and was himself again! Although he can no longer walk, my dad is still with us and strongly hanging in there. He is a fighter. I am thankful for the Opus physician and nurse, that urged us to treat his dehydration. I know we would have lost him too soon had they not recommended we take him to the hospital. I know my dad baffles them and he is the exception in these circumstances, but they have been amazing in every way. I am so thankful for this great team of professionals. I highly recommend Opus. I wanted to give you "Thanks" for all the support and professional service provided to my mom while she was to care of you. Also thanks to the staff that day to day worked with my mom, with careful dedication. Special thanks to Teresa Paula the Supervisor, her nurse Antonio Crespo and Dolores Dominguez, the CNA, who took care with affection to my mom. My family and I were always calm, because we knew she was in good hands. Everything that she needed was supplied on time every month (pampers, pads, gloves for the nurses, etc.). Also her medications were ordered on time. Thanks again for having a staff so qualified and professional that does not forget his human condition. Thanks Tere, Antonio, Dolores and everyone who had the opportunity to assist my mother. My father, Joaquin Ruiz, was admitted in hospice on Sept. 29, 2017. He has always had an excellent team of caretakers that not only have provided all the necessary help regarding the health issues, but they have helped the family cope with this difficult situation. Yamiri Leon, his Head Nurse, Carmen Martinez, CNA, and Pedro, his nurse, have been crucial in keeping my father with comfort at this time. I don’t have words to express my gratitude to the team and also the nurses that have assisted him after hours. I have recommended Opus to friends and will continue to do so in the future. I want to thank you both very much for all the help you two provided me with Opus. My mother passed away on Friday and thanks to you she had professional nurses by her side on her last moments with us. I was able to be with my mother because I was called and informed by the nurses who were so very nice and caring. Words cannot express my gratitude enough. Thank you. I thank God that there are still some good hearted people left in this world like you all. Thanks again a million times to all of you. I will definitely refer Opus to anyone I know who needs your services. Have a blessed day. Less than a month ago we were lost! Our father's rapid deterioration into what we now must face to be the final stages of his disease, left us distressed and disoriented. And then God sent OpusCare into our lives and for that we are deeply grateful. Contact was made at the eve of Hurricane Irma's arrival, and we were stunned that in spite of the crisis mood in Miami, your staff, Mario Lopez, took the time to enroll my father, Gerard Hermantin into OpusCare. After the disastrous passage of the hurricane you, Helen, guided us through, placing our Dad in an ALF, a very painful and difficult process for our family. The ALF, Sweet Home Care, is just what our family needed. It is not too far and we know that our father is in good care. Moreover, we know that we can continue to count on you as the inevitable approaches. There are no words to express our family's gratitude to you and to OpusCare. OpusCare of South Florida is absolutely flawless in its service. As someone in the health care field I have never come across a company that provides such exceptional service. The staff that came to take care of my grandmother was highly professional, empathetic and courteous. The equipment and supplies provided by the company are of utmost quality. Moreover, the customer service is impeccable and the follow-up is prompt. The support system the company provided alleviated us from any burden. I have no words to express the gratitude I have towards OpusCare of South Florida for its service, staff and care during such a sad and critical point in my family's life. I want to take a minute to thank OpusCare Of South Florida for taking exceptional care of my grandpa till his last breath back in March 2017. I also wanted to thank their team members from his CNA Walt Disney, his nurse Maria Teresa, Patricia from grieving service, all the continuous care nurses that pass by our home, and also to the girls behind the scenes Lizandra and Olaidis for always working together to meet my grandpa's needs, for being there and providing outstanding holistic care/ emotional support to every one of us and specially my grandma who was losing her beloved husband. It's not easy to deal with the end of life process of a love one but when you feel the warm of loving/compassionate health care professionals you find comfort and ease during this hard times. I would recommend to friends and family your services. Thank you OpusCare. Our patient’s daughter had very high praises for our company and services and she especially mentioned Nurse Anette Barranco. She was very thankful that she was there when the hospital nurse applied a tourniquet and that it was very tight to the point that the fluid was not flowing through and Nurse Anette fixed it and according to the daughter, saved the day and probably her Mother as well. She insisted that the Team Director was informed of this. She claims that it was a learning experience for her. Quiero darte las gracias por todo lo que hicistes por mami. Eres un angel que nuestro Señor le mando. Ustedes han sido mas de lo que yo speraba. Mami estuvo cuidada y amada por tu equipo. Que es un equipo sin igual. Te digo que de mi todas las personas sabran de Opus y el trabajo tan fantastico que han hecho hacia mi mama. Por favor pasale esto a tus superiores para que sepan lo mucho que les agradezco todo lo que hucieron por mami. Y sobre todo con la compasion y profesionalismo que lo han hecho. Por medio de la presente, queremos expresarles nuestro sincero agradecimineto a todo el personal que directa e indirectamente trabajo junto con nuestro ALF Sarah’s Senior Home, Inc. para proveer un servicio de exelencia y calidad a nuestro paciente, Emma E Padilla. Nuestras felicitaciones para todos y aunque solo fueron pocos dias de trabajo, hemos quedado impactados con la sencibilidad y profesionalismo con que manejaron y brindaron su apoyo para tan dificil caso. My mother and I want to verbalize our gratitude for the services rendered to my Dad. I have never experienced customer service like Opuscare’s and even though I heard great things about the company, I never expected it to be so “perfect” and professional”. From the pharmacy delivery man to the nurse who pronounced, we have no words to express how grateful we are for everything Opus did to facilitate our lives during such a difficult time. Thank you to Maria Teresa Fernandez, RN, Enid Matos, RN, Lurdes Arias, CNA, Olaidy Duarte, Laura Lopez, our admission nurse Julio, Yalkin Valdez, RN, David and Roman from OCHA staffing agency and every single person whose name we can’t remember. We’re just grateful for everyone who entered our home.